Just like that one above. 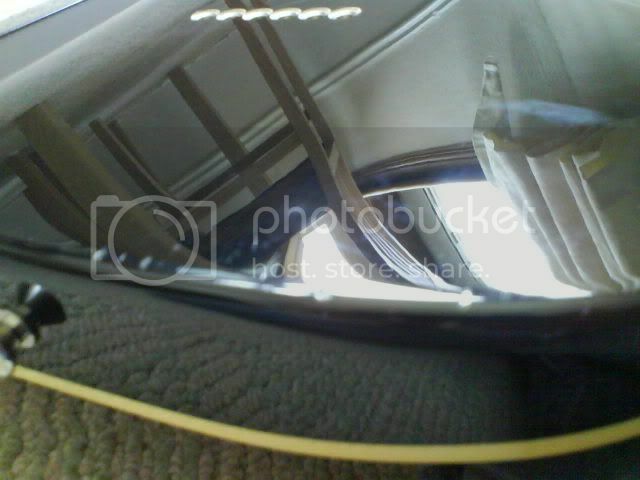 it has a few dings beside the input jack but is still a real looker. 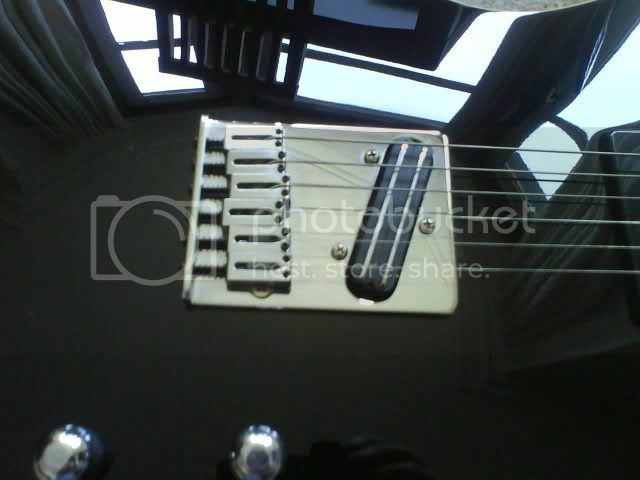 Crafted in Japan, i replaced the bridge pick up with a humbucker (cant remember which make but it cost over 100), only gigged once. 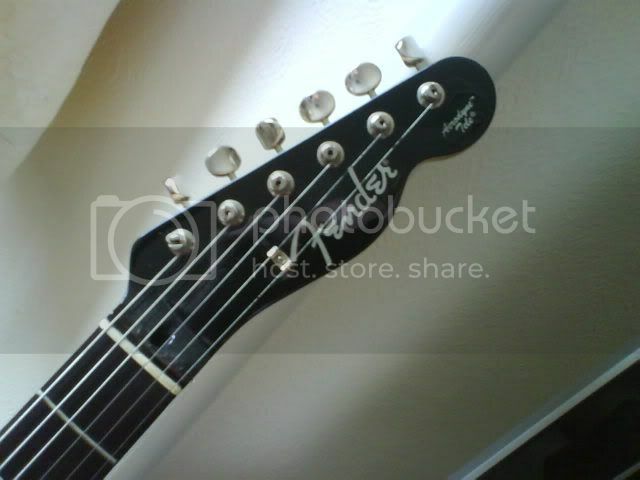 Fender dont make these any more so grab something not many people have for 300 o.n.o..
drop me a PM if your interested. you up for a trade? 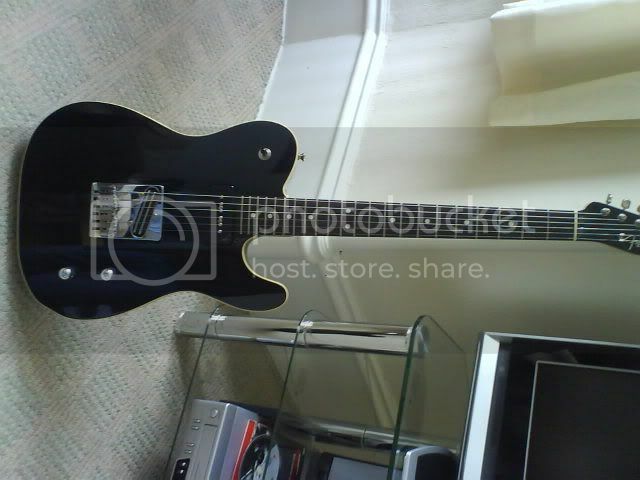 i have a lite ash tele, but its too light sounding, fancy a tele with a bit more punch and i was eyeing this up just the other day? if not maybe discuss something over a pm? ...or a stacked single coil sized one - no physical mods? Right, i'm not looking for trades, no physical mods to guitar, humbucker was fitted by someone who knows what they're doing (nae me!). Oooo Min! That looks well nice. Bugger, and I've just bought a SG. Good luck selling it DX. Someone will get a bargain there. Thats really nice. Any chance of a try out? That's a really nice guitar. I love the finish. That is a lovely guitar. i just play bass now! yes, i love paypal money! i have someone comin to see it this week (maybe,hopefully) but i will post here if still for sale!
' date=' post: 465776"']Thats really nice. Any chance of a try out? The Guy that was coming round to see it has bought something else, so it still for sale folks! aye, you can try it out, just PM me and we can arrange something. sale fell through, available again! I'll give you 270 for it postage included if you can post it to inverness?